Take your room from good to spectacular! If we agree that the touchstone word for the year is 'comfort,' you may wonder how wallpaper -- which is undergoing a BIG renaissance -- fits into this. 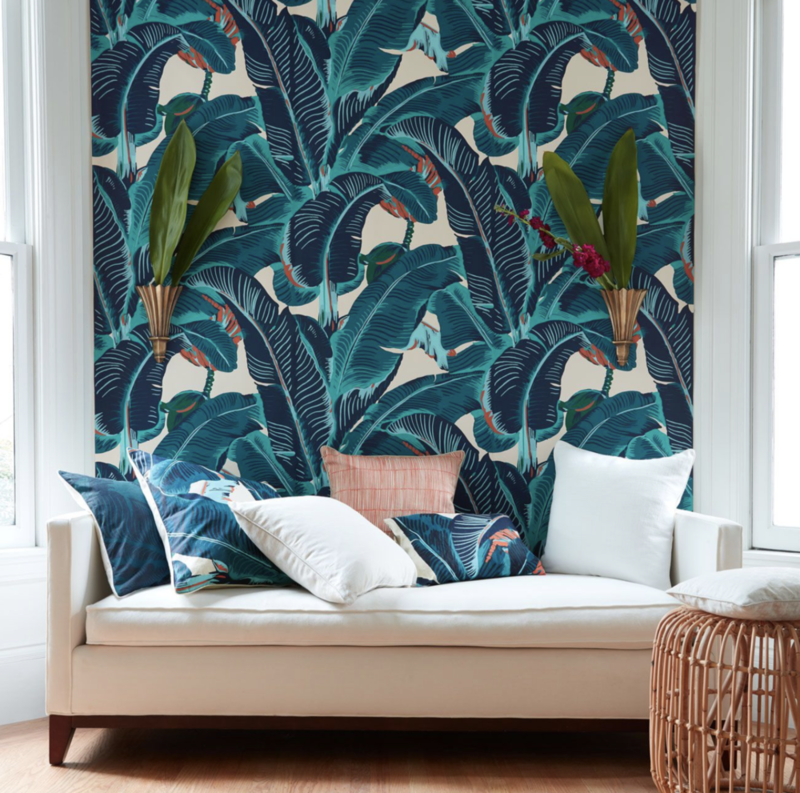 It's a perfect pairing because the new wallpapers are beautiful to look at, some so textured you just have to touch, and some so life-like in their botanical representations you think you are sitting in a sunroom. Who doesn't remember the iconic hallways of the Beverly Hills Hotel? That big, marvelous, blousy palm print ( called Martinique) which was designed for the hotel in 1949 is still on the walls. "Now after nearly 80 years with nary an update, the paper's manufacturer, CW Stockwell, is releasing an entirely new collection based on the iconic print, bringing the pattern into the modern day while paying homage to its roots." And who hasn't marveled at the subtle finesse of the Morris prints "Bird and Pomegranate", "Compton", or "Acanthus" which originate from the 1870's? These classic papers are still available, some with new tweaks. CW Stockwell, for example, is adjusting backgrounds and refining colors to suit today's design aesthetic better. But the new papers are also full of textures. Grasscloth works across most design styles. Working with a designer to find the perfect backdrop for your room's style will ensure that the look and feel of your room matches your vision. We all remember, too, the trays of sticky, murky water, the "discussions" between the people actually doing the work and all prefaced by the hours of steaming and scraping the old paper off the walls. New papers go up easily, come down easily, and some are reusable -- all of which means that homeownership doesn't limit where these papers can contribute to a design style.